Bad management is bad for business. This is in part due to the fact that bad management has an overwhelmingly negative effect on employee engagement and motivation. Gallup found that a staggering 70% of an employee’s motivation is influenced by their manager. This lack of motivation in turn also leads to a higher rate of employee turnover - the University of California found that motivated employees were 87% less likely to quit their jobs. As the effects of bad management are so prevalent, you wouldn’t be wrong in thinking that bad managers were rare. However, this is sadly not the case. In fact, HuffPost reported that three out of four employees claim their boss is the ‘worst and most stressful part of their job’. If you’re reading this and beginning to worry that you may be a bad manager who is yet to realise it, then don’t fear. We have gathered three different management styles that we think can be universally agreed upon to be bad. We will explain how these types of management negatively affect your employees’ engagement and how you can stop being this type of manager. Every employee needs time to step away from work and rejuvenate if they want to be productive and successful. A manager who intrudes on employees’ free time is a bad one and is hurting their business in the long run. How does over-working affect engagement? An overworked employee is a burnt-out employee. Stanford University found that productivity dramatically decreases once a work week extends beyond 50 hours. 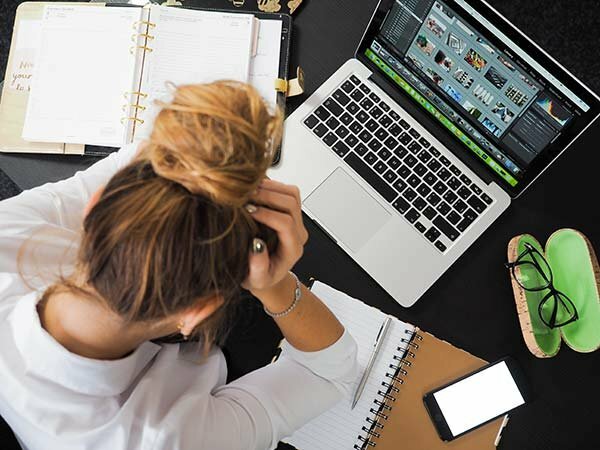 Employees who are encouraged, or forced, to overwork themselves will begin to resent their manager and the work they are being made to do, leading to disengagement and a lack of motivation. How to stop being an over-worker? If you’re guilty of over-working your staff, you need to urgently reconsider your approach to leisure time. You must understand that staff have different levels of commitment and dedication to their work. Whilst you may be comfortable working an extra two hours every day or coming into the office on a Saturday to finish a piece of work, your employees may have other commitments that take priority. Overworking is actually not a sign of better performance. In Scandinavian countries like Denmark, managers do not equate overworking with better performance. Employees are actually discouraged from overworking themselves. Leaving on time, or early, to pick up children from school is not looked down on. The World Economic Forum found that even though the Danes are working fewer hours, it doesn’t mean they do less. In fact, productivity was found to increase in businesses where staff worked fewer hours. One example of a large company working to combat over-working is PepsiCo. Their CEO for Australia and New Zealand Robbert Rietbroek has introduced a new policy in his office called 'Leaders Leaving Loudly' which aims to discourage over-working and "reduce presenteeism". The policy involves upper management announcing loudly when they are leaving the office, and for what reason. This helps encourage younger or junior members of staff to leave on time, as they have seen a good example set by senior staff. A micro-manager is a manager who needs to have a great amount of control. Whilst this isn’t necessarily always a bad thing, a micromanager exhibits this need for control in such a way that ends up irritating and frustrating their employees. A micro-manager doesn’t trust their employees to complete a task to the high standards they possess, so they are constantly breathing down their necks to ensure the work is correct. This lack of trust also means that micro-managers struggle to delegate tasks as they don’t believe anyone can do the work as well as they can. How does micro-managing affect engagement? Firstly, micro-managing stifles creativity as the manager doesn’t allow the employee to approach the task in the way they want, instead, they tell them exactly how they want them to do it. When an employee isn’t allowed to think for themselves, they see no need to engage with the task. When an employee doesn’t feel trusted to complete their work to a satisfactory standard, they begin to believe that this is because their work is consistently bad. This lack of confidence is detrimental to engagement and motivation. How to stop being a micro-manager? If you think you may be guilty of micromanaging, you need to take a step back and give your employees room to breathe. Employees need to be able to take responsibility for their own tasks. They may make a mistake, but this is all part of their development as a great employee, so don’t overreact if they do. Instead, talk about what went wrong in a calm manner and put some steps in place to stop it happening again. If your micro-management is due to the fact you need to be in constant control of everything that’s going on, then a data visualisation solution could work well for you. Having sales figures such as the number of calls or number of closed deals displayed on a dashboard means you have instant access to a comprehensive overview of your business without having to hover around your employees or asking them for unreasonable amounts of meetings. Mushroom management describes a company structure where communication doesn’t flow, or is ineffective, between management and employees. How does mushroom management affect engagement? This communication breakdown leads to employees blindly doing work for their managers, without understanding the impact of the work they’re doing and how it benefits the company in the long run. Of course, this leads to disengagement and a lack of motivation to complete their work. TinyPulse found that management transparency is the single most important factor when determining employee happiness, which in the context of their study was employee engagement. How to stop being a mushroom manager? Be sure to regularly update your staff members on what’s going on in your company, whether this is a brief weekly update announcement or an email sent to everyone. Make it clear that staff are free to ask questions and be curious about the business and what effect their work is having. Another way to increase transparency in your company or organisation is a visualisation tool, like a business dashboard. Displaying important data or KPIs on TV screens around the office increases visibility and ensures everyone to be on the same page. Want to learn more about employee engagement and motivation? Try Plecto free for 14 days and see how it increases your team motivation and engagement.